Blooming Quince, a photo by joespake on Flickr. 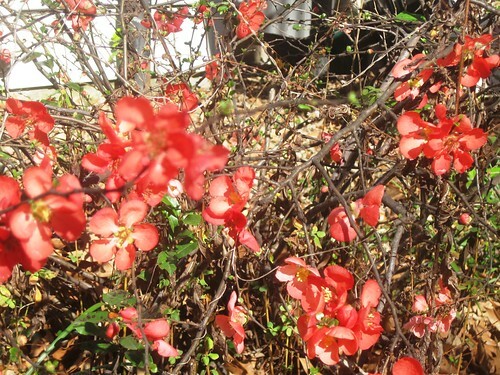 Not a remarkable image other than this quince being in full bloom on Feb. 2 in 66 degree temperature. This is generally the coldest part of Memphis' winter.